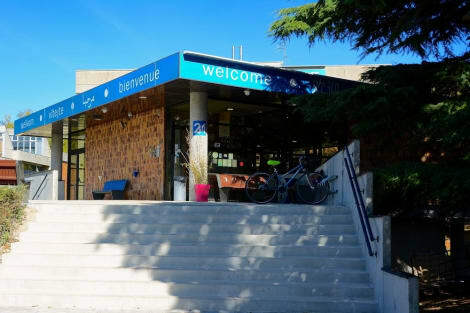 At Premiere Classe Reims Sud Bezannes, enjoy a satisfying meal at the restaurant. Continental breakfasts are available daily from 5:30 AM to 10 AM for a fee. A stay at Best Western Hôtel Centre Reims places you in the heart of Reims, within a 10-minute walk of Notre-Dame de Reims and Cours Jean-Baptiste Langlet. 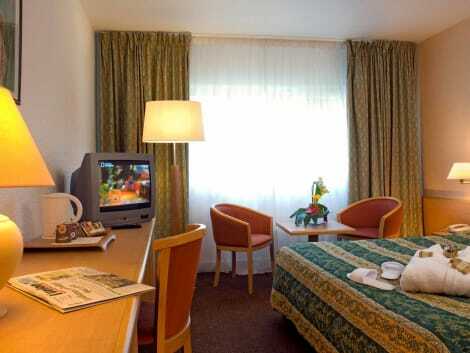 This family-friendly hotel is 0.3 mi (0.5 km) from Mars Gate and 0.5 mi (0.8 km) from Maison Charles de Cazanove. 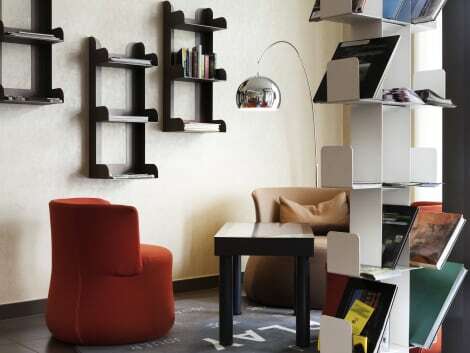 Family-friendly hotel in central Reims with cathedral views, a restaurant and a bar Holiday Inn® Reims - City Centre hotel is a 10-minute walk from Reims Train Station and a 45-minute drive from Châlons Vatry Airport (XCR). The recently renovated hotel is located in the historic city centre, close to shops, restaurants and cafés. You can walk to 13th-century Reims Cathedral, the coronation site of France’s ancient kings, in 10 minutes. The famous champagne cellars of Veuve Clicquot-Ponsardin and Taittinger, and the idyllic Parc de Champagne, are a short drive away. The hotel has two meeting rooms with space for up to 20 delegates. Reims Congress Centre is a five-minute walk away, and key businesses, like Forbo Sarlino and Boehringer Ingelheim, are less than 10 minutes away by car. At this hotel you can enjoy: - Free Wi-Fi throughout the hotel - Private indoor parking for a fee - A roof terrace with charming city views Bright rooms offer a minibar, Nespresso coffee machine and a pillow menu to help ensure a good night's sleep. Kids stay and eat free. A full buffet breakfast is served in the rooftop Il Duomo restaurant, where you can also enjoy mouthwatering Italian cuisine in the evening. End the day with a glass of champagne in the adjacent In the R bar, while admiring the cathedral and city views from the terrace. A breathtakingly beautiful town in the heart of the Ardenne region of France, Reims is truly something special. Bubbling over with heritage sites and fine champagne, Reims is often a perfect excuse for a tour of a champagne house, a cracking meal and the purchase of a case of delicious bubbly. With its Gothic Cathedral, fine museums and a revamped city centre, you are sure to revel in your trip from start to finish. If you only have time to see one French Cathedral during your visit, it has to be Cathedrale Notre Dame de Reims. With hundreds of statues on its western front, a unique façade and the city's emblem – a 13th-century figure known as 'L'Ange au Sourire' – you're sure to be dazzled by this magical place. With its 'Opera House' setting, stained glass, mosaics, crypt and courtyard, there is plenty of exemplary beauty to appreciate, and it's no wonder that 33 French Kings were crowned here. All explanations and descriptions are available in English, which really helps you soak up the atmosphere of coronation after coronation. In addition to this awe-inspiring cathedral, Basilique Saint Remi is a must-see. This vast abbey is within walking distance of the town centre near the champagne caves, and entry is free. Bearing in mind that this is much older than the cathedral, there is still some extraordinary Gothic architecture to see. With its great acoustics and beautiful stained glass you are likely to feel remarkably serene in this spiritual, moving place. Veuve Clicquot Ponsardin offers informative and charismatic guided tours around a historic champagne house, its millions of bottles and grounds. With tasting sessions and plenty of souvenirs available, you'll want to take a little treasure home with you. One of the best sightseeing tours is Raw France Champagne Visits, run by Rachel and her family. With a real personal touch, the tour takes place in a small village called Sacy, 15 minutes from Reims. Rachel will meet you and show you around the vineyards, sharing her knowledge of champagne houses and the area and then, later on, there's an abundance of champagne to sample, along with a delicious lunch. Appreciate two-Michelin-Star dining at Le Parc Les Crayeres, with a glass of champagne on arrival and the French delicacies tasting as good as they look. You'll want to dress up and really revel in the excitement of eating at this high-class restaurant. For a taste of real local food, Chez Nous is the perfect place. If you want genuine Foie Gras, this is where you'll find it, along with many other traditional French dishes, all served in a relaxed atmosphere. 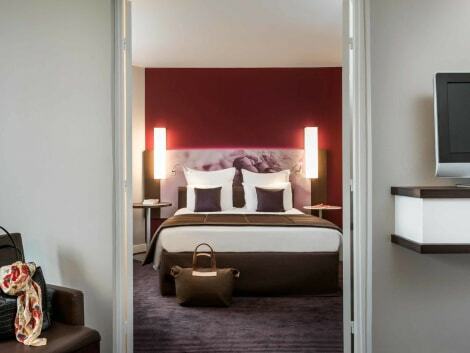 You'll find a number of high-quality Reims hotels to choose from, to suit your budget and tastes.